The San Francisco Early Music Society is pleased to announce the award of grants from the California Arts Council to four of our Affiliate groups. Each of these organizations’ projects is closely aligned with SFEMS’s goal of strengthening regional early music networks. We wanted to share with you the winners and their projects. 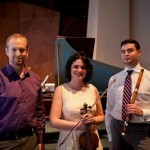 The East Bay Recorder Society’s grant will be used to support EBRS’s biennial Headlands early music workshop, taking place the weekend of May 17–19, 2019. 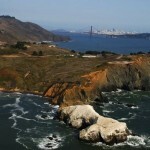 The workshop offers a dozen classes taught by seven accomplished local Bay Area early music faculty at the Point Bonita YMCA on the Marin Headlands. The Headlands Workshop has served as a gathering place for recorder enthusiasts and other early musicians from a wide geographical area; people come from the Sacramento, San Jose and Gold Country areas and a few from further afield, including the East Coast, Texas, Hawaii and the Pacific Northwest. Laudami Ensemble’s project was to perform outreach concerts for hospital patients and retirement center residents in the San Francisco Bay Area. Their goal was to share music with an underserved population that may not otherwise have exposure to early music. During the performance, they talked about their music and following the concert stayed to answer questions and interact with the audience, allowing for meaningful social interaction between the performers and attendees. The New Esterházy Quartet (with the addition of double bass player Kristen Zoernig) are planning outreach concerts for junior high or high school students. 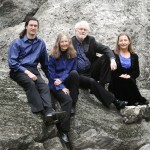 Their program, entitled “Programmatic Quintets,” is a compelling, entertaining and educational presentation, where students can learn about historically informed performance, the differences between the quintet’s historical instruments and those in a modern symphony orchestra, and how colorfully great composers can depict the events and creatures of the natural and supernatural world. Vajra Voices was awarded a grant for its recently completed “Eve of the March” project. Vajra Voices gave a large, public performance last Friday, January 18 in San Francisco’s Grace Cathedral. This special event was co-hosted by Vajra Voices and the Grace Cathedral/Ghiberti Center for Culture. Entitled “The Eve of the March,” it was intended as an inspirational opening to the third annual Women’s March, which took place the following day. The concert, in the soaring nave of Grace Cathedral, included the women of the eastern European choir Kitka to create a combined force of 14 voices. 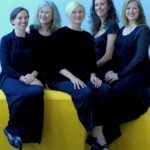 They were joined by cellist/composer Theresa Wong and multi-instrumentalist Shira Kammen in a program of medieval and modern songs on the divine feminine. SFEMS thanks all those who applied. Your continuing efforts to strengthen our community’s awareness of and access to early music is vital to the success of all our organizations, and we sincerely wish you all the best in your future achievements.